There are practical, basic stuff that we tend to forget when we get online. 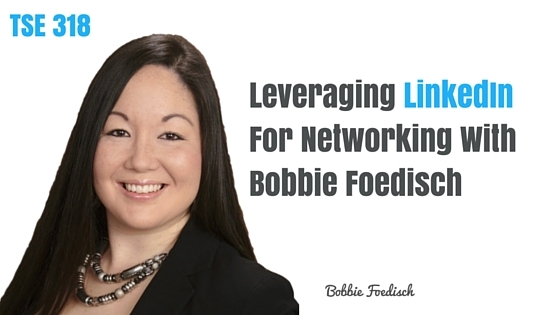 Today, we’re bringing in Bobbie Foedisch as we touch on this topic plus more social selling strategies, specifically leveraging your online presence on LinkedIn. Bobbie is the founding partner and chief social selling officer at All About Leverage, where they develop social selling, lead generation, networking processes. Bobbie has been in the business development space for most of her career. Seeing the power of leveraging social media, they have cultivated a lead-generating process which they offered to clients as a voluntary benefit business. Presently, there are 413 million people on LinkedIn. Find out how you can use it as a driving force to your business as well as how you can leverage on the intersection between online and offline marketing. You don’t have a relationship with a logo, but you have a relationship with people. Make sure your photo is recognizable and looks like you. Oftentimes too, your profile picture is your first impression so you want to make sure it reflects the professional that you are. Generic messages show that you didn’t even take just 10 seconds to make that extra effort to personalize your message and show them that you care enough to do that. Be yourself on social media. Who you are on social media should reflect who you are face to face. And how you represent yourself face to face should be how you want to represent yourself online. Build your online network the right way. Have the right network of people. Have a reason to be connected. Know why you’re there. What’s your purpose? From there, you can then know how to build the network and which processes you can do. Put your content out there. 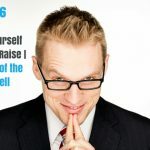 Are you creating your own content? Are you curating content? Are you putting out content that your network is interested in reading about? You want to resonate with your network but you also want to tie it back to your subject, job, or expertise. Take the content being a thought leader, use it through your LinkedIn publisher, and post it. Get it out on your homepage for your network. Tweet it out a few times and put it on your Facebook company page. Put out content based on proper timing. Put out content on the right days of the week, at the right times of the day depending on the social platform to strategically reach at least 60% of your network. 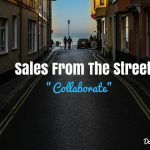 Leverage LinkedIn groups for content and networking. Groups allow you to reach out past your network. Put the right amount of content. Leverage the groups for live, face-to-face networking events. Search LinkedIn groups for specific details based on companies, job titles, and geographic location, etc. to narrow them down. Then message these groups at no cost. When you save your purchase based on your ideal client profile, LinkedIn will send you a lead generation list every week. Leverage your first degree connections. Leverage your network of referral partners. Look at all those connections and narrow it down in under a minute based on exactly who you want to know. Meet with your different referral partners every week and get an average of five introductions. Statistics show that as of last year, this type of warm lead generation has a 60% conversion rate. Go to recent activities and comment on things you care about. Engage in conversations and get them to engage back. Move from connecting online to connecting offline. You have to be physically visible and available in order for people to know about you each day. Your LinkedIn profile is the first thing that pops up when somebody searches your name. You have to match the sales process to the buying process if you want to be successful and stop thinking about it as just sales. It’s no longer sales but guiding people through and you want to be there to influence them to that 67% that they’re already through by the time they decide to go with you. It’s all about influencing, not selling or closing. Only focus on people who are interested, much more targeted. There’s no magic to it. You have to invest in the relationship especially in a relationship-based business (which is every B2B business out there). Don’t expect things to happen overnight. Take the time. Make mistakes as long as you figure out what’s right. Success is measured by the amount of times you fail. Get a free audiobook download and a 30-day free trial at www.audibletrial.com/tse with over 180,000 titles to choose from for your iPhone, Android, Kindle or mp3 player.